Looking for a DVD-R workhorse? 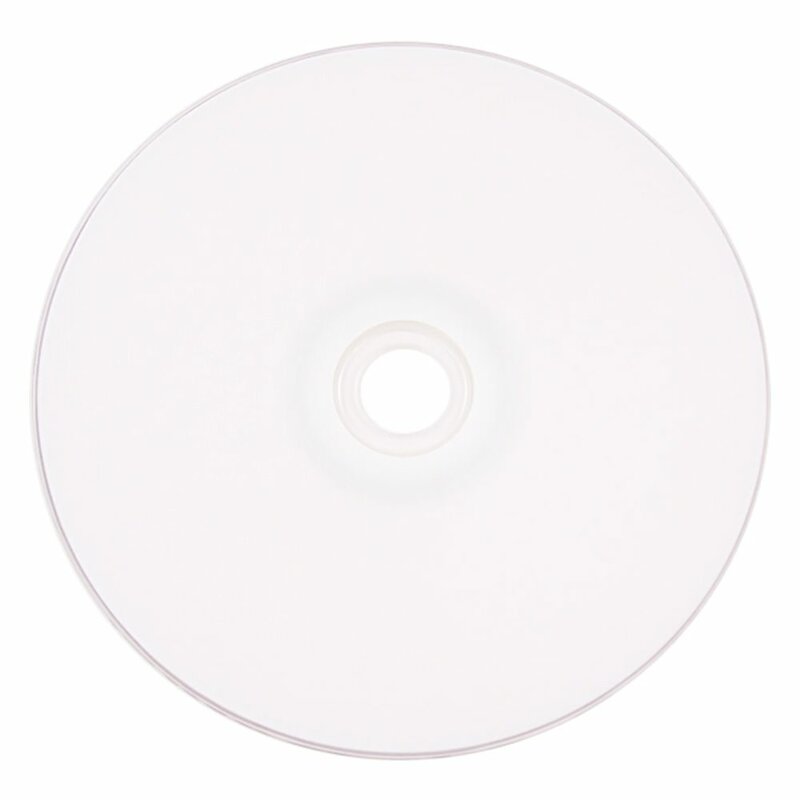 You’ve got it, try the CMC Pro Powered by Ty Technology White Inkjet Hub Printable disc; it burns at up to 16X speeds and offers exceptional quality for reliable DVD duplication. This printable DVD is highly compatible and boasts top notch archival life. This extraordinarily versatile 16X DVD-R media can be used with the new higher-speed DVD writers from Sony, Pioneer and other leading manufacturers, as well as upgraded writers from Apple, Pioneer and others. Top-Notch Performance Reliability and Archival Life! CMC Pro Powered by TY Technology 16X DVD-R discs have 4.7GB of write-once storage capacity and superior recording quality. They provide the highest level of performance, reliability, and archival life. 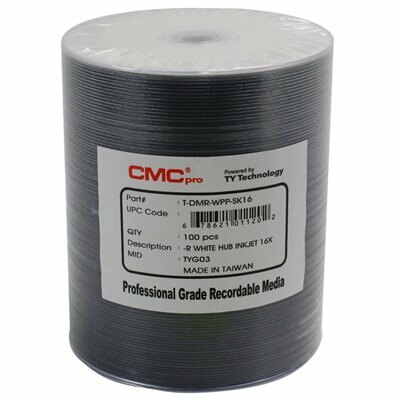 In addition, CMC Pro Powered by TY Technology DVD-R media deliver broad read compatibility with the vast majority of DVD-ROM drives and DVD-Video players in use today. 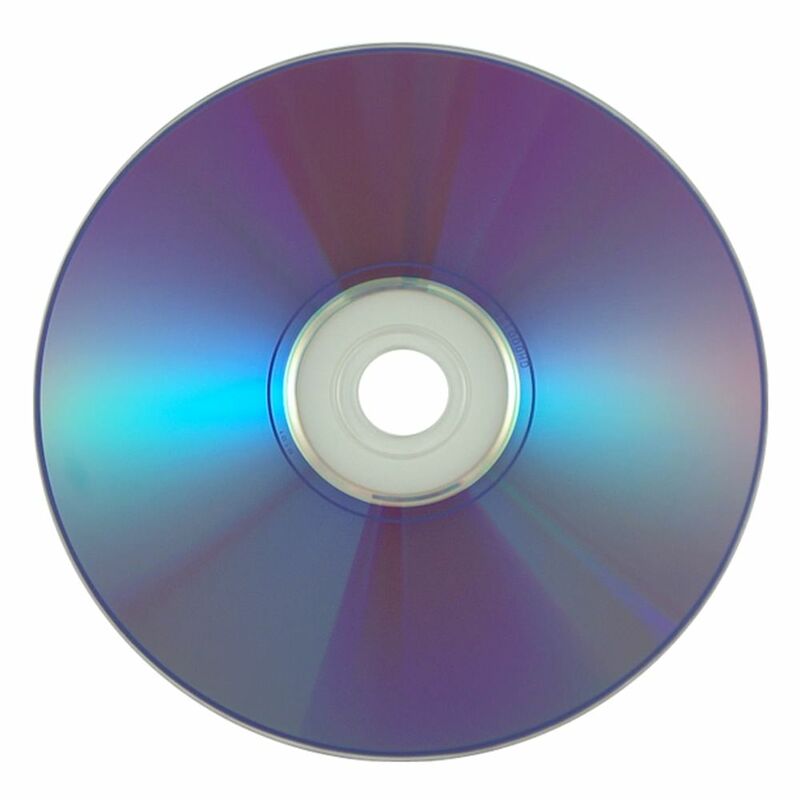 These affordable 16X DVD-R discs provide exceptional solutions for a wide range of applications, including home and professional video recording, DVD content development, DVD duplication, PC back-up, and data archiving. The white inkjet printable coating allows for great looking prints every time. The print surface extends all the way to the center hole.